Posted in: 1 Pageant Pages, 2 Shout-out-Looks. Tagged: Anea Garcia, Claire Elizabeth Parker, Lees Garcia, Miss Grand International 2015, Nawatt Itsaragrisil. After all the exchange of explanations and justifications and corrections and what-have-you between Nawat Itsaragrisil and Anea Garcia about the reasons behind the latter “stepping down” as Miss Grand International 2015 and the organizer’s defense of the decision to let her go (I’m too tired to read everything now), I would rather feature the recent crowning of Claire Elizabeth Parker of Australia as the new reigning titleholder and will effectively assume all the still-unfinished duties that the crown requires. Honestly, I am happy with Claire’s ascent because she deserved to have won last year instead of Anea. It’s just that the Thais (or Nawat and his team for that matter) were so quickly enamored by the statuesque presence and dramatic moments onstage (and the fact that she holds a US passport – I was told – even if I still could not clearly fathom the logic behind the alleged preference) of the latter. Regardless of what people will say about Miss Grand International, it still is recognized by many pageant directors (even our own BPCI). Now the question running inside my head is this – will Bb. Pilipinas crown a Miss Grand Philippines 2016 or will a potential appointment for one of the runners-up be the case for this edition? Posted in: 1 Pageant Pages, 2 Shout-out-Looks. Tagged: Anea Garcia, Claire Elizabeth Parker, Miss Grand International 2015, Nawatt Itsaragrisil, Parul Shah. And so, the first dethronement for Miss Grand International has now actually happened. Anea Garcia of Dominican Republic, Miss Grand International 2015 is no longer the reigning titleholder. Her First Runner-Up Claire Elizabeth Parker of Australia has effectively taken over. With immediate effect, Miss Anea Garcia will step down from her position as Miss Grand International 2015 due to unable to fulfil and follow the contractual agreement with Miss Grand International Organisation. We are pleased to welcome Miss Claire Elizabeth Parker to take over this honourable position and continue the honourable duty as Miss Grand International 2015. 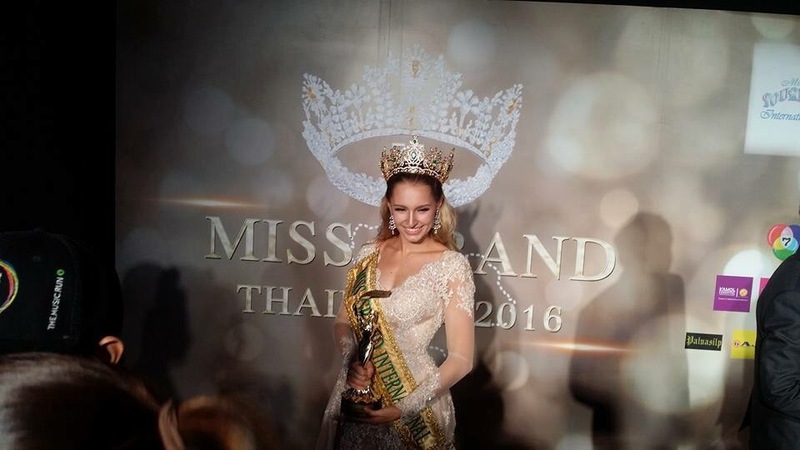 Congratulations to Miss Claire Elizabeth Parker as the new Miss Grand International 2015. Nawatt is not the hardest to please, pageant-wise. So the dethronement of Anea must have been really such a big burden on him to finally make this grand (no pun intended) decision. So does this mean our very own Parul Shah is now 2nd Runner-Up?